Chalk & Cheese met Mr. Danders the guinea pig in my strip that was done for Team Cul de Sac. 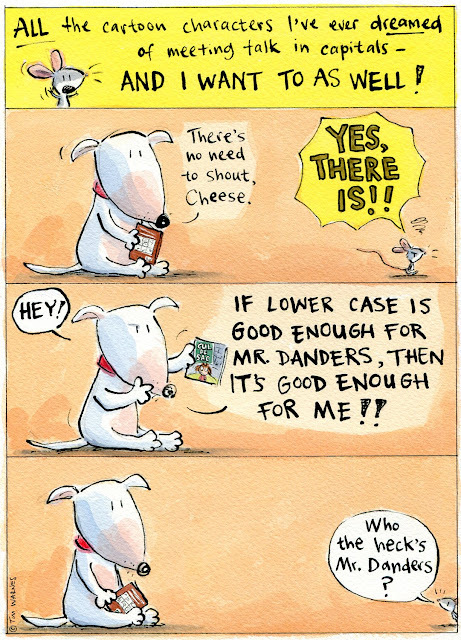 This is a great fundraising effort for Parkinson's disease, in support of Cul de Sac cartoonist Richard Thompson. If you are able, please buy the book or consider making a donation. Weirdly enough, today's Cul de Sac comic fits my theme perfectly. Enjoy!